Guest blogger The Uncustomary Housewife shares her experience having Dermatillomania at ComicCon! The owner of the Mind Me blog gives us her feedback on our Fiddle Pack! Picking Me Foundation communications intern Paul Steeno dishes on his experience working here this summer. Taking ownership of your Dermatillomania is a fantastic way to take back control from this controlling disorder. Guest blogger Kim Mills reflects on her journey battling Dermatillomania and talks about how escaping her comfort zone has helped her win this battle. The Ultimate Women's Expo provides Picking Me Foundation with one of the biggest platforms it has ever had. Educating themselves, being empathetic, and removing triggers are all ways that friends of dermatillomania sufferers can offer support. The effects of skin picking can be severe and even life threatening. Skin-picking sufferers are more prone to infections than the average person because of the wounds they create on their body through their picking. Here are some tips to prevent wounds from becoming infected. Picking Me Foundation digital marketing intern Karen Fragoso talks about her experience interning at this organization. Preparing answers for common questions people have about dermatillomania beforehand will help skin-picking sufferers avoid uncomfortable exchanges. Picking Me Foundation volunteer and skin-picking sufferer Alyssa DeBock reviews the Fiddle Pack. 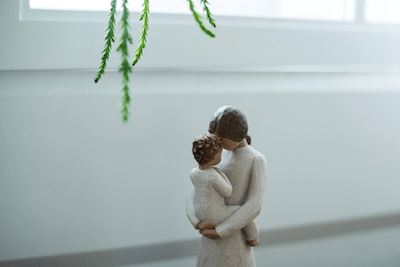 Skin picking and perfectionism go hand-in-hand, but there are several steps sufferers can take to avoid letting their perfectionism become a trigger for their skin picking. Picking Me Foundation Founder and CEO Lauren McKeaney had an opportunity to speak with Dr. Drew Pinsky at the International OCD Conference in Washington D.C. last week. A mirror and skin picking go together like orange juice and toothpaste. Here's how skin-picking sufferers can avoid the triggering effects of looking into a mirror. Are you a skin picker who is sick of getting destroyed by mosquitoes in the summer? This list of strategies should help. Picking Me Foundation intern Alyssa Debock details her journey living with Skin Picking Disorder. Picking Me Foundation intern Alyssa Debock shares methods she uses to fight back against her Skin Picking. Dermatillomania shouldn't stop you from a fun time with pals! Picking Me Foundation Will Be Featured On Newsy! 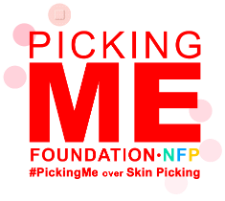 Check out Picking Me Foundation on television on Friday, 6/29!